Home / Blog / Colleges / Should You Become a Math Major? Should You Become a Math Major? If your high school calculus teacher is in awe of your sine-cosine-tangent expertise, you spend your free time coding, or A Beautiful Mind stands as one of your favorite movies, you may want to consider a math major in college. Dispel with the myth that achieving this major means a lifetime of boring number-crunching under flickering fluorescent lights (though there are plenty of number-crunching opportunities, too, if that’s your kind of detail-oriented jam): A math major can lead to some of the most dynamic, mind-stimulating careers out there, with promising paychecks and opportunities in a variety of industries. What’s the course of study for a math major? Interested in majoring in math? Find the perfect match today using our advanced search tool. It will depend on the specific path you pursue, but in general, expect to take precalculus and calculus, algebra, advanced statistics, and math theory (or “pure mathematics”), perhaps mixed in with the physical sciences, computer science, and engineering, among others. So what are the benefits of pursuing a major in math? The skills you develop as a math major can help you further your studies and better handle basic life tasks. 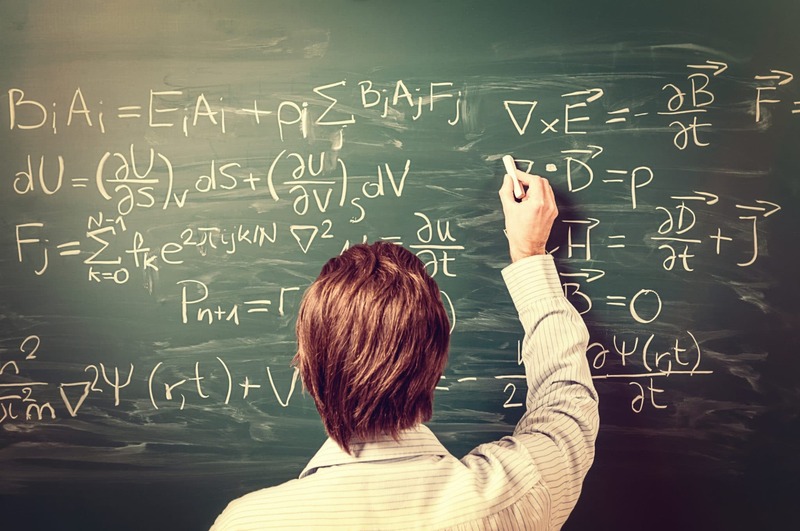 It may be necessary to continue on to grad school for math, especially for specialized jobs that require a more advanced degree, including meteorologist, algorithms engineer, or quantitative financial analyst. The math skills you’ve already developed will come in handy for this future coursework. A recent National Institute of Education study also found that students with math majors who took entrance exams like the LSAT and GMAT (needed to get into law school and graduate business programs, respectively) performed significantly better than the average on those tests—which would set you well on your way to remaining competitive in grad school. Plus, your carefully honed quantitative and analytical skills can help you in nearly any job, and even in your home life. After all, one day you’ll need to set up a household budget and finagle numbers to best save for your retirement. You’ll already be ahead of the game with a math degree to your name. A rewarding, well-paying career is within reach. A career in math can be fulfilling across the board. In a recent survey of top jobs based on income, work environment, and stress levels, among other factors, mathematician ranked at the top of the list, partly because of its attractive compensation (a median salary of $81,950 in 2016) and also because of projected growth in that career. Actuaries (who look at the financial risks and math behind certain events, typically for the insurance industry) and statisticians, two other jobs that math majors often pursue, typically rank similarly high in job satisfaction. Pay and job prospects, of course, are important factors to consider as standalones, and math majors face good news on both fronts: Math occupations overall had a median annual wage of nearly $82,000 in 2016, while employment in the math field is expected to grow 28% from 2016 to 2016—much faster than the average across all occupations. There are lots of different roles you can take on after studying math. There are even ways to tie other interests to your love of math for more unconventional math-related jobs. Enjoy working with animals? Do statistics work that helps craft medicine for pets and livestock. Passionate about the environment? Dive into quantitative ecology to develop organizational strategies that can assist oceanographers in their quest to manage marine wildlife. Can’t stop playing Horizon Zero Dawn? Put your higher-level math skills and artistic abilities to work designing video games. You can find work in nearly any industry that interests you. That includes government research labs and offices, engineering research groups, computer and software manufacturers, financial services and investment firms, and academia. And some of the biggest names out there are constantly on the lookout for math talent: Being able to eventually include Boeing, Google, Microsoft, or State Farm Insurance on your resume isn’t too shabby; or, if you’ve always wanted to work on Wall Street, plenty of firms have their eyes open for candidates with mathematical abilities who yearn to work in the fast-paced world of finance. Want to simply share your knowledge with others? Instructors at every level are among society’s unsung heroes. If you become inexplicably excited explaining formulas and equations, share that enthusiasm by nerding out every day with students who are best served by a teacher who truly loves what they do.